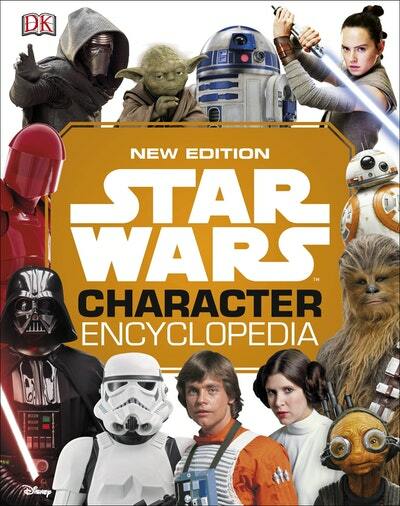 Learn more about your favourite Star Wars characters from every movie in the saga. The definitive guide to the people, aliens and droids of the Star Wars galaxy is now packed with new characters from Rogue One: A Star Wars Story, Star Wars: The Last Jedi and Solo: A Star Wars Story. Want to know how tall Snoke is? Or where the ferocious Nexu comes from? Look no further than the Star Wars: Character Encyclopedia. This handy guide is full of fun facts and intriguing information, guaranteed to enthrall fans for hours on end. With more than 200 heroes, villains and creatures, it is the perfect introduction to the Star Warsuniverse. With never-before-seen information reveals backstories and personalities, even die-hard fans will learn new facts about iconic characters! Love Star Wars Character Encyclopedia? Subscribe to Read More to find out about similar books.